We R Memory Keepers BLOOM POUCH PINK 660598 at Simon Says STAMP! 660598 This item is on reserve until If you would like to reserve this item now, you may purchase it now with the rest of your order. We will hold your order now and ship your entire order as soon as this item is back into stock. If you would like your order to ship now, please place this item on a separate order. 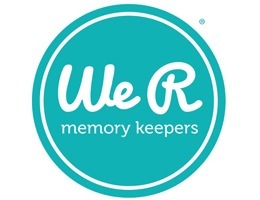 Success, We R Memory Keepers BLOOM POUCH PINK 660598 has been shared! Perfect for on-the-go crafting. View everything at once, no more digging around! Unfolds to create a flat 20 x 20 inch surface. Use drawstring to zip up into an 8 x 8 inch Pouch. Store craft supplies, makeup, toiletries, office supplies and more! Save space with unique design. Store small items in 2 zippered pockets. Neatly tuck drawstring away in pocket. Contents not included.